A Mass of Christian Burial for James Ronald Spillman will be at 10 a.m. Monday, Aug. 6 at Holy Cross Catholic Church in Natchitoches with the Rev. Marc Noel serving as celebrant. Burial with military honors will follow at Emmanuel Cemetery in Chopin. 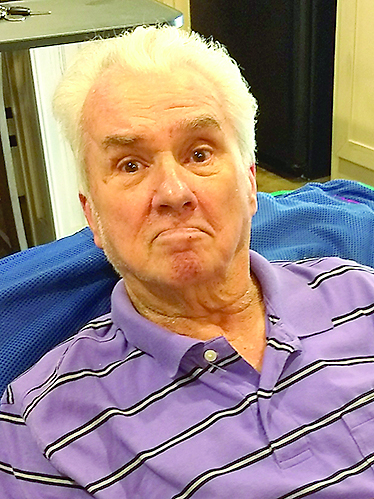 Ronnie, 69, and a resident of Natchitoches, passed away Aug. 2, 2018, with his family by his side. He was born Feb. 15, 1949, to John Ivey Spillman and Clara Victoria Carnahan Spillman in Natchitoches. He was preceded in death by his parents and siblings, Linda Spillman, Mike Spillman and Dale Spillman. Ronnie proudly served his country in the U.S. Navy and was a Vietnam veteran. His patriotic service was very important to him and has been a long-time member of the American Legion Post 10, VFW Post 1962, and the DAV. He was a loving and caring man that enjoyed spending time with his family. He will be dearly missed by all that knew him. He is survived by his wife, Vickie Spillman of Natchitoches; daughters, Susan Robinson of Natchitoches and Joni Bynog of Natchitoches; son, Waylon Charrier of Natchitoches; grandchildren, Madison and Morgan Robinson and MacKanen Rhodes; sisters, Kathy Poche’ and husband Carroll of Natchitoches and Joan Edwards and husband Bobby of Baton Rouge; a brother, Johnny Spillman of Natchitoches; as well as numerous nieces, nephews and friends. A special thanks to Heart of Hospice for the care and support given during such a difficult time.